Man pulled rickshaw decorated and colourful. Created in Illustrator a vector software. 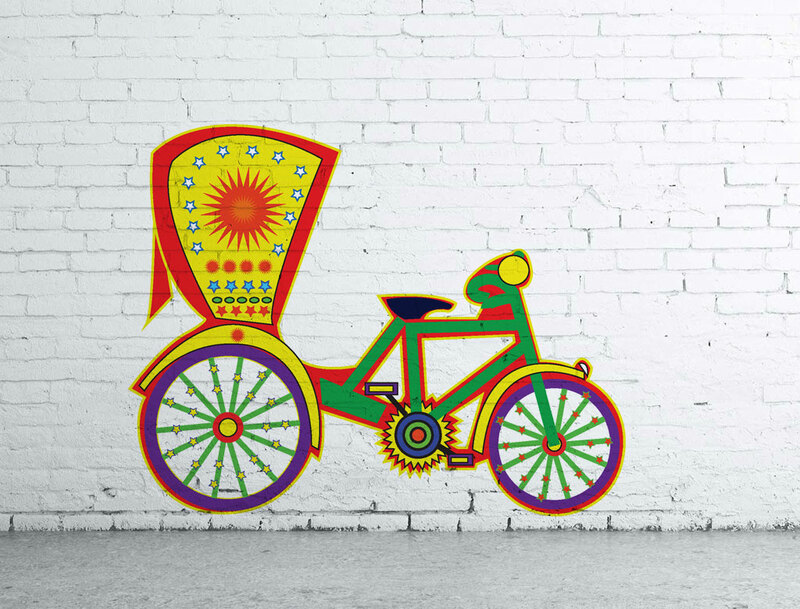 The decorated rickshaw painting is available in digital vector format which can be increase to any size with high resolution image quality. It can be used to decorate exterior or outdoor wall and also you can use it for interior decoration.